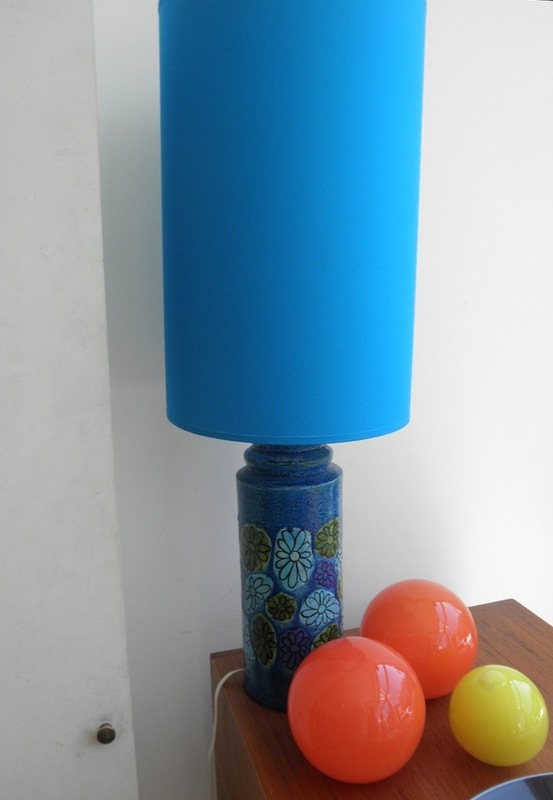 We can supply custom made lamps in a range of vintage colours to suit Bitossi and other similar mid century and vintage lamps. 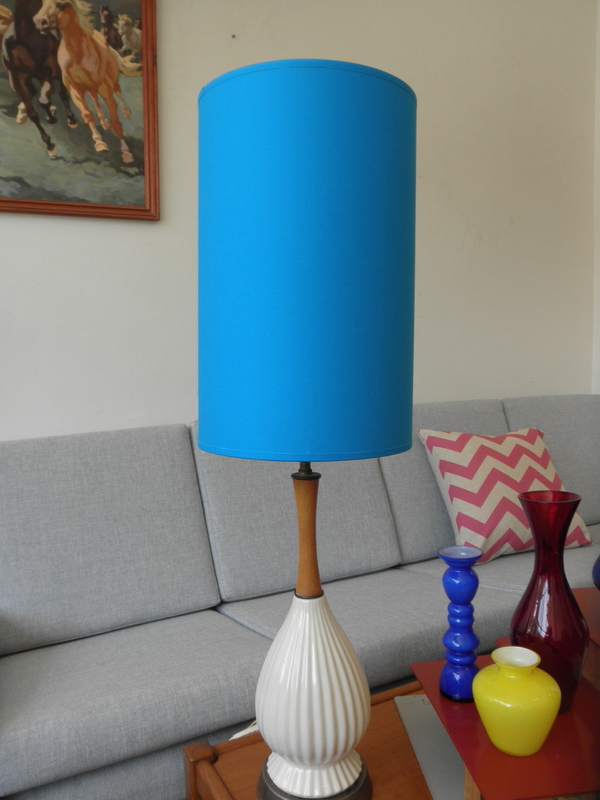 It’s a great way to clean up that old lamp that has faded and is starting to let down the base. They really pop again once you replace the shade. We need to cost out your requests so please contact us with what you are after. We use a fine linen which is similar to the old satin type shades popular in the 1950s and 1960s or hessian textured fabrics which really suit the rough textural Bitossi lamps of the 1950s to 1970s. If you aren’t sure send us through a picture and we can try to work out something that will work with your base. 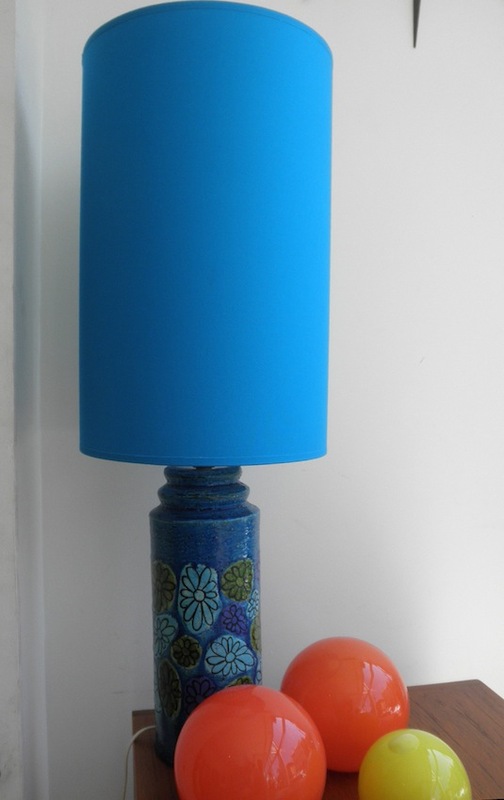 The featured rimini blue Bitossi lamp is available for $350 with the pictured new blue linen shade. 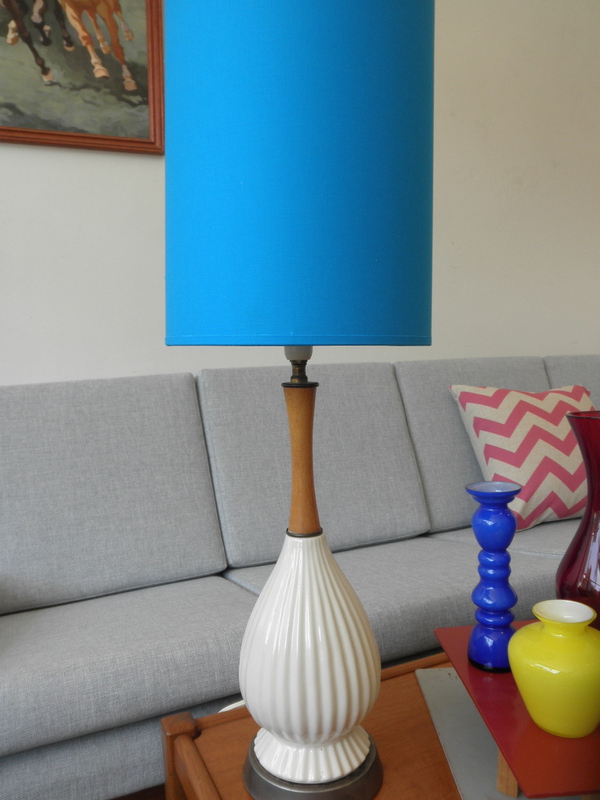 The White ceramic Danish style lamp is available with the pictured shade for $230.